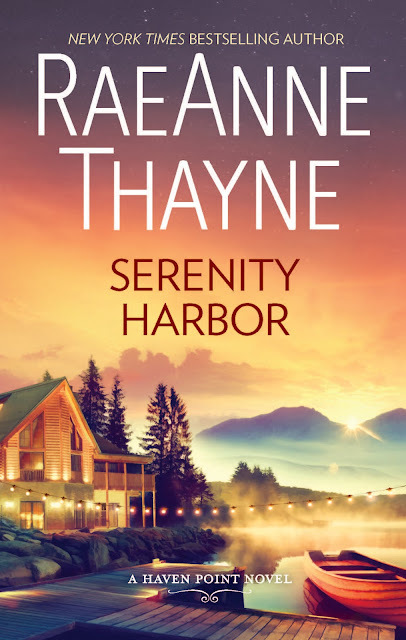 When a publicist reached out to me about reading Serenity Harbor by RaeAnne Thayne for review, I was over the moon. Y'all, I discovered this series at the end of last year and quickly became obsessed with it! 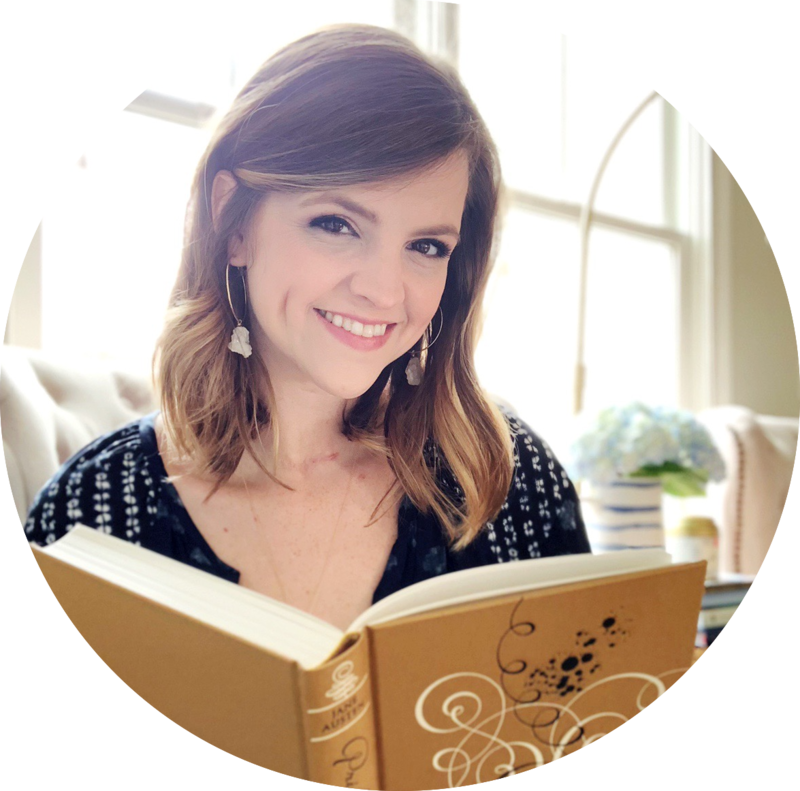 Here's how it all started: in December, I'd been chatting with Kelly from Belle of the Literati about her love for holiday romances. That conversation and the fact that I couldn't stop watching Hallmark holiday movies put me in the mood for that type of book. But I didn't know where to start because I typically avoid the romance genre! 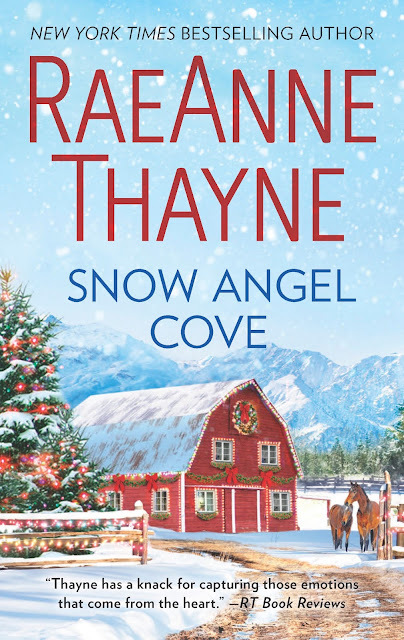 However, as luck would have it, I was browsing Amazon's Kindle Daily Deals page around that time and spotted Snow Angel Cove, Redemption Bay and Evergreen Springs for $0.99 each. I won't lie: I primarily wanted to read the books because of their covers. They're so pretty! Instead of just starting out with the first book, I fully committed and bought all three. Although this bookish habit has backfired on me in the past, it was the right call with this series. I started the first book on December 19, and I finished the fifth on December 25. Your introduction to the town of Haven Point is through the eyes of Eliza Hayward in Snow Angel Cove. She arrives in the little mountain town to find that the job she was counting on has gone up in flames... literally. Aidan Caine thinks he has the solution to her problems, even though she's skeptical. But she's desperate, too, and will do whatever it takes to provide for her sick daughter. As soon as I started the first book, I knew I was in for a treat. Thayne writes such lovely, charming characters. It's easy to reduce them to quick descriptors (like the downtrodden single mom or the workaholic tech genius), but the books let you see their hopes and fears in ways that make them feel realistic. While I could relate to some characters in the series more than others, I enjoyed spending time with all of them. They each have their charms, and I was rooting for them to find love and a place to belong in Haven Point. 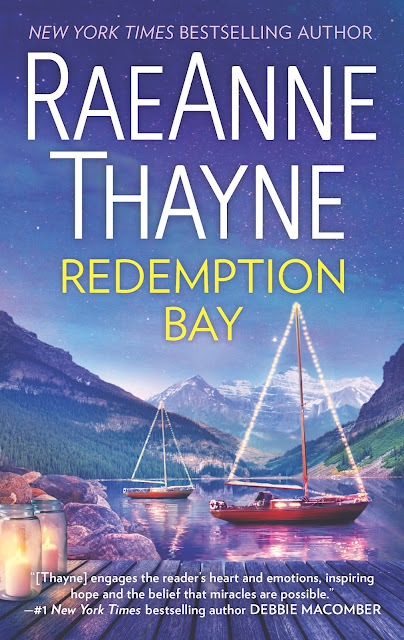 Of course, I have to talk about the romance with Redemption Bay because it has one of my favorite tropes: hate to love. McKenzie Shaw is the mayor of Haven Point, and she will do anything to save her struggling town... including play nice with Ben Kilpatrick. When he closed down his family's factory years ago, it left the town's economy in shambles. Now he's back to figure out if his tech firm can open a local facility there, and a lot of old animosity is resurfacing. Needless to say, I was all in! Since I don't typically read this genre, I wasn't sure what to expect from the romances in this series. They ended up being exactly what I wanted but wouldn't quite have known how to articulate. They're sweet, pretty chaste, often slow burn, and always leave you with a smile on your face. You know when you start these books that they are headed towards a happily ever after, but Thayne makes each minute of the journey there count. Christmas is the last thing on Cole Barrett's mind in Evergreen Springs. Ever since his ex-wife died in a tragic accident, he's barely keeping things afloat for his two kids. When physician Devin Shaw waltzes into his life, she makes him an offer he can't refuse: she'll help him make Christmas special for his kids if he'll allow her patients access to the hot springs on his property. And a little holiday magic is just what their hearts all need! Since my desire for a holiday/winter-y read is what first drew me to this series, I'd be remiss not to mention it on my list. The first, third, fifth and seventh (coming in September) books in this series are all set during the holidays - and I loved that about them! If you want to read something the captures that cheery feeling you get during the holidays, you'll want to pick up these books. But don't worry: there's lots to love about the season in the second, fourth and sixth books, too! It has its own charms. 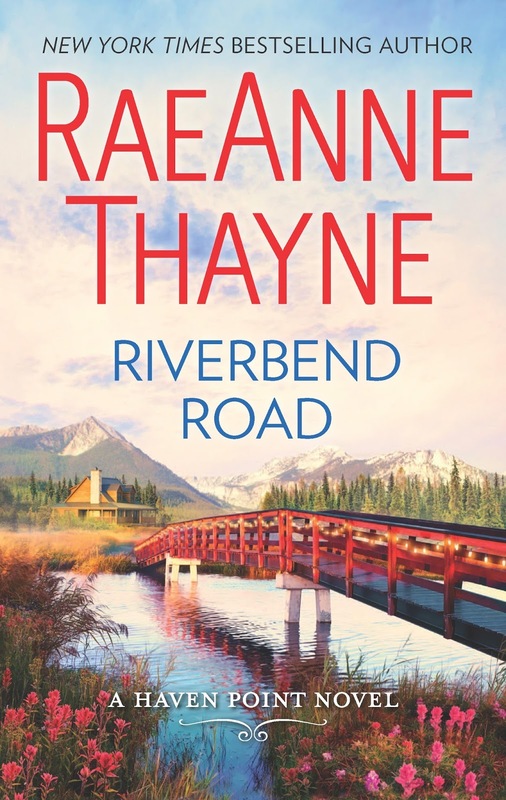 Wynona Bailey is a police officer in Riverbend Road, so her job has always involved a certain amount of drama. But lately her personal life does, too. She wants more from her career and from handsome Cade Emmett. The only problem? He's her boss and her brother's best friend. She's convinced that he just sees her as a little sister, but Cade is keeping his distance for different reasons. When Wyn is injured in the line of duty, it forces both of them to face what they've been hiding. For me, these books just have the right amount of conflict in them. I like the different internal conflicts throughout the series - all the ways the characters avoid and/or make peace with their feelings. But I like the external conflicts too: the overprotective brothers, the natural disasters, the threatening people from the past, the life-threatening accidents, the struggling economy, etc. It helps shake up the predictability and make each book an adventure! 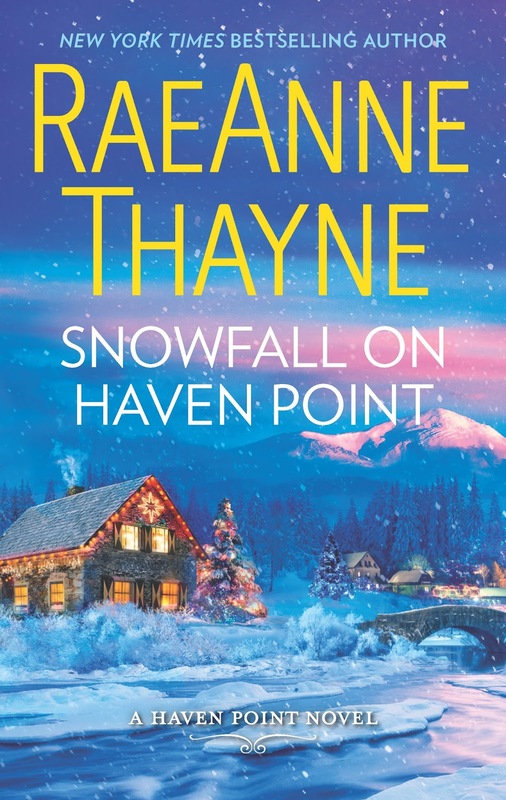 It seems fitting to talk about the setting with this book since Snowfall on Haven Point has the town's name in the title. Andrea Montgomery is hoping that she's finally found a place that she and her kids can call home after the death of her husband two years ago. She's already agreed to keep an eye on her neighbor, Sheriff Marshall Bailey, as he recovers from a hit and run. Neither one of them is thrilled about the arrangement, but it's hard to say no to the people in this town. And y'all, I wish this place really existed! 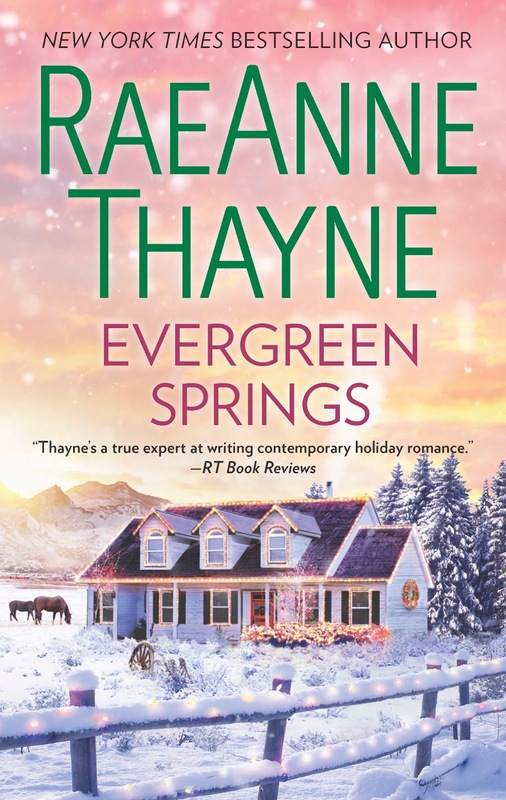 I really like the way Thayne describes this adorable small town and how each book reveals more reasons that I wish I could vacation there. But even more, I love this community! I love picking up a book, often already knowing a little bit about the main characters, and waiting patiently for references to characters from previous books. The connectedness of each book in this series gives them a familiarity that's comforting. 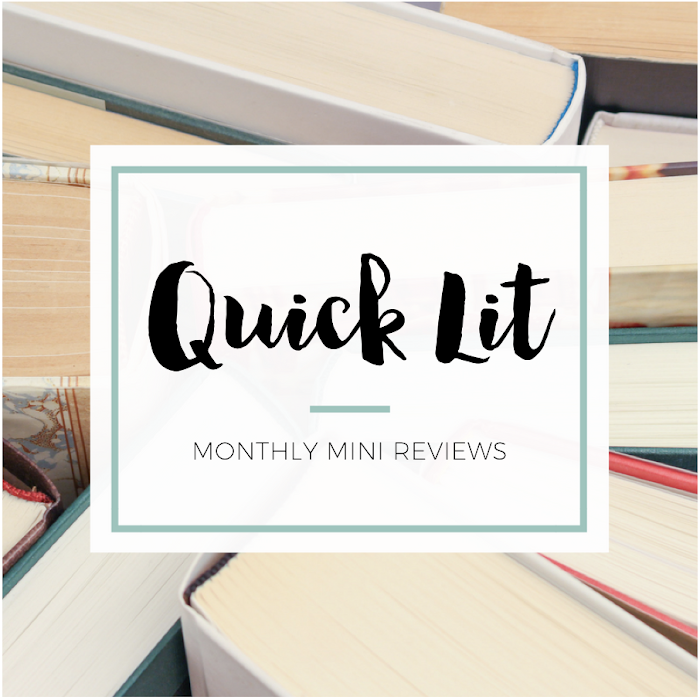 I read the first five books within a week in December, so I was worried when I picked up Serenity Harbor that the charm might have worn off. Thankfully, it felt like coming home! The last thing Katrina Bailey wants to do is work for Bowie Callahan, but she knows she's the right person to care for his young half brother, Milo. Plus, she needs the money and it's just for two weeks. But a lot can happen in that time... I love all the friendships and families throughout the series. Thayne gives you so many different and unique relationships. For example, in this book alone there's Katrine's tense relationship with her mother, her love for her siblings (Wynona and Marshall, from previous books), her longing for the girl she hopes will become her daughter and her changing friendship with Samantha. I love the sense of community that exists by getting to see the characters' support systems (or lack of one). These books aren't just about the romance! Do I need to say more? The Haven Point series is worth checking out, especially if you're a fan of sweet contemporary romances. Although I generally know how they'll end, I enjoy every second I spend in this town! I have my favorites and least favorites, of course, but the series is really consistent overall. From the lovable characters to the heartwarming setting, these books never fail to leave me with a smile on my face. They're just so fun to read, and there's something to be said for books that bring you joy. I have a feeling I'll be revisiting this town again and again in future re-reads when I need some chemistry with a dash of comfort. *I received a copy of Serenity Harbor for review consideration. This did not affect my opinion of the book or my review. Ah! I love small town books and holiday books. This series seems right up my alley! I absolutely adore this series and the series before it that ties into this one. Such good, heartwarming stories that make you feel a part of the community! Te Haven Point books are such fun to read. I've enjoyed them all so far - am just starting Serenity Harbor and it's looking VERY good, too! You really need to stop talking about books that sound really good and right up my alley ;) But seriously, this series sounds like fun, and definitely a series that sounds like a good set of holiday reads to binge!